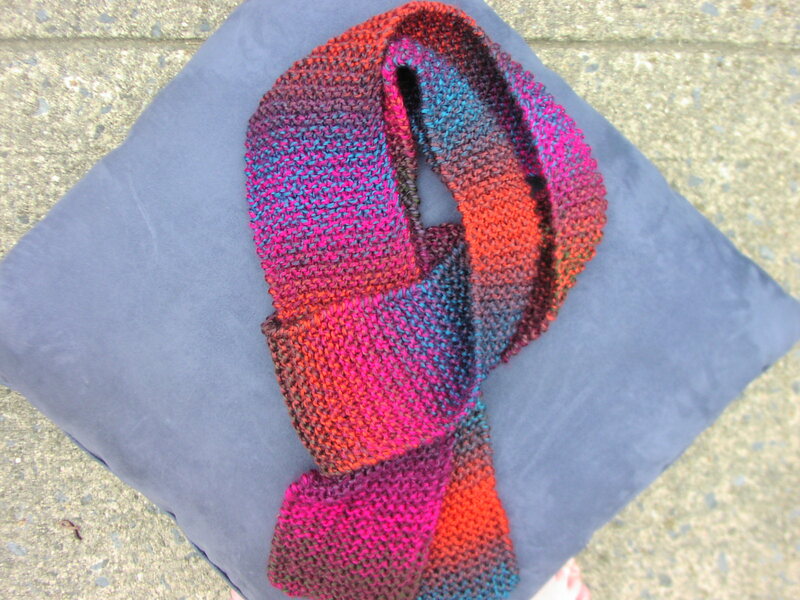 All scarves are knit to approx. 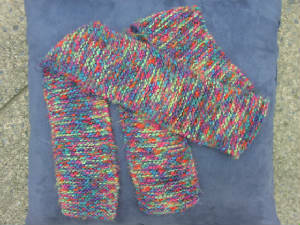 6' in length, and can be made with a matching hat or ear-warmers. # 430: Wool/acrylic/mohair boucle yarn in "cottage" colors: $30. Hand wash in cold water, gently squeeze (do not wring) excess water, air dry flat. # 431: Wool/acrylic/mohair boucle yarn in "pretty patch" colors: $30. Hand wash in cold water, gently squeeze (do not wring) excess water, air dry flat. 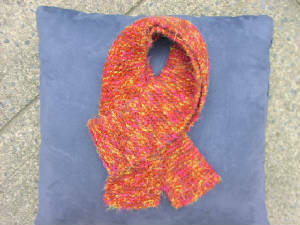 # 432: Wool/acrylic angel hair yarn scarf in apricot....really soft, flowing texture: $28. Machine washable in cold water, gentle cycle. Air dry flat. # 433: Acrylic scarf in wonderful colors that flow into each other! 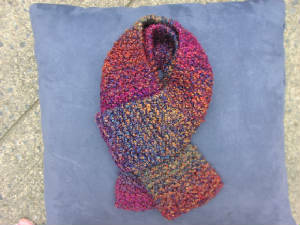 It is so much fun to knit this one. $28. Machine washable in cold water, gentle cycle. Air dry flat. 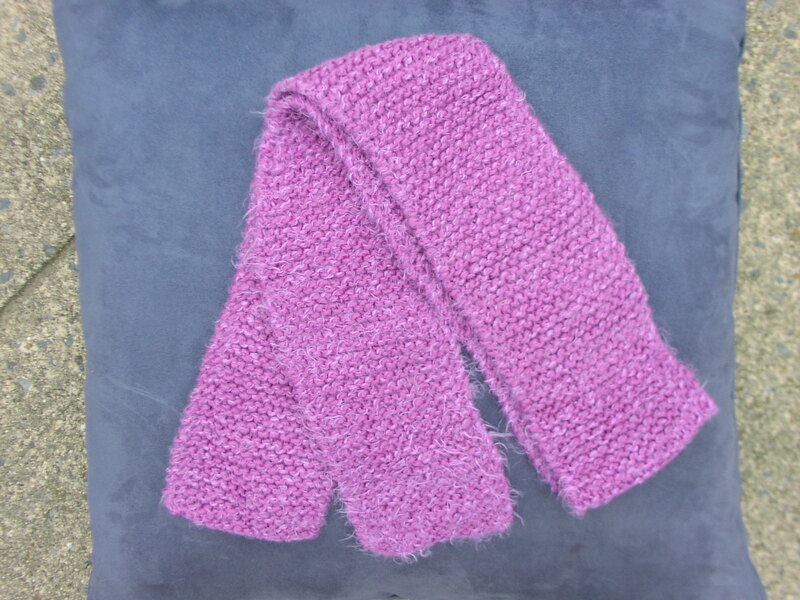 # 434: Wool/acrylic angel hair yarn scarf in lavender: $28. Machine washable in cold water, gentle cycle. Air dry flat. # 435: Another multicolored scarf, this one with subtle gold sparkles: $28. 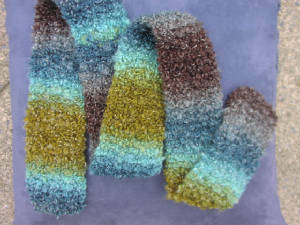 Acrylic yarn is machine washable in cold water, gentle cycle. Lay flat and air dry. 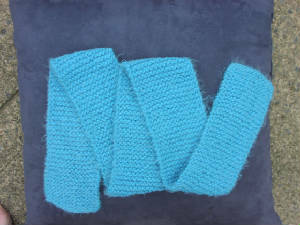 # 436: Wool/acrylic angel hair yarn scarf in turquoise: $28. Machine washable in cold water, gentle cycle. Air dry flat. 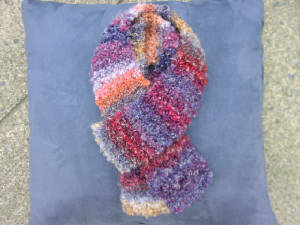 # 439: Wool/acrylic angel hair yarn multi colored scarf: $28. Machine washable cold and gentle cycle, air dry flat.